Our Standard Hook Line Has Recieved an Upgrade: Plus Closets is pleased to announce the addition of a unique piece of hardware to our already extensive line of handles, knobs and hooks. 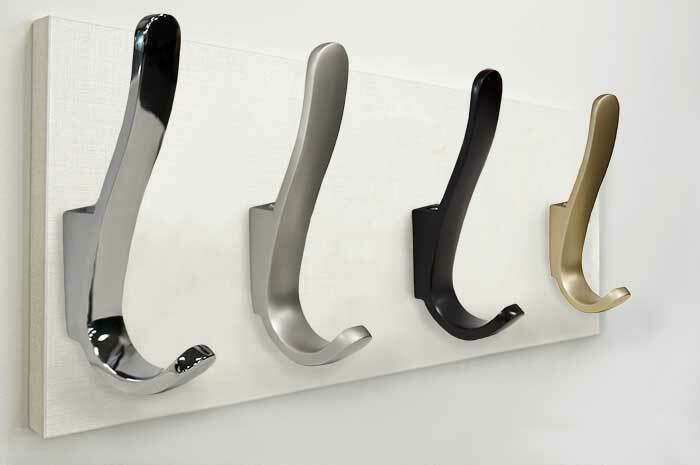 The Large Hook is a sleek and elegant piece available in four finishes. We are proud to be able to offer this quality piece of hardware to our dealers. Plus Closets is proud to be a 2019 exhibitor in the CCCE show - BOOTH 419. 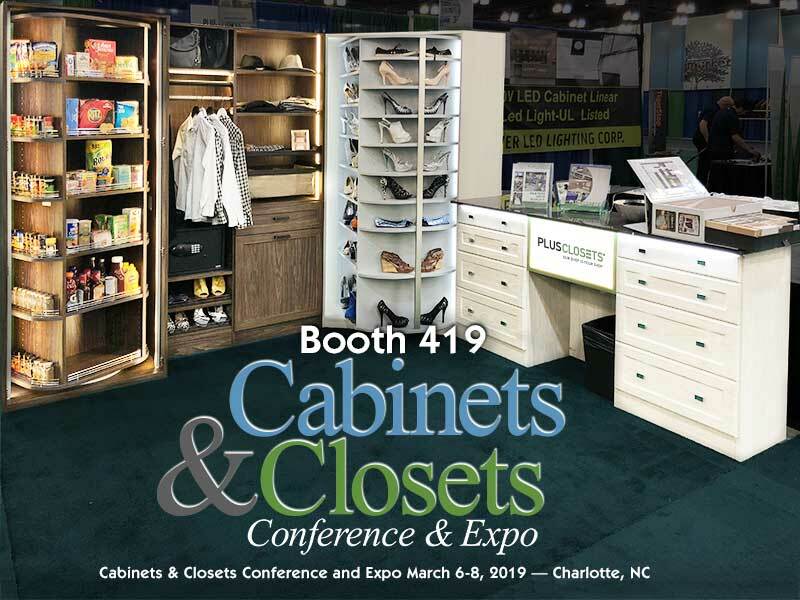 Come on out to see all of our latest products, including our line-up of 360 Organizer® rotating closet solutions this coming March 6-8, 2019 at the Charlotte Convention Center, 501 S College St, Charlotte, NC 28202. Register as a guest of Plus Closets and get a FREE pass to the show. Plus Closets is proud to be a 2019 exhibitor in the International Builder's Show (IBS) as one of the closet exhibitors - BOOTH SU3536. Come on out to see all of our latest products February 19-21, 2019 at the Las Vegas Convention Center, 3105 Paradise Road Las Vegas, NV 89109. Finally, a top-of-the-line safe designed specifically for use in closets (great for home offices too). 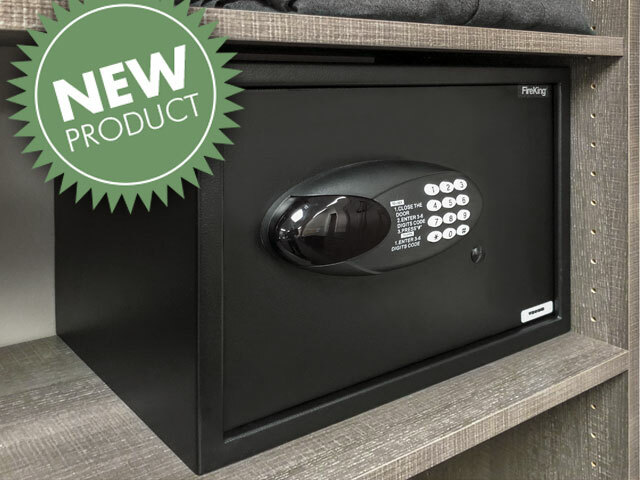 Designed to fit into an 18" opening, this closet safe has an electronic keypad and comes with 2 emergency keys, plus bonus security features that sets this product apart from others in the same category. To see more information and specifications of this exciting new accessory. 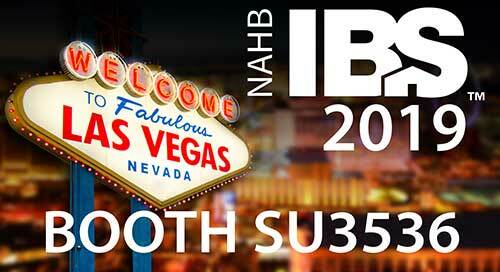 Plus Closets will be exhibiting in building C booth 2707 at this event! Come on out and see us this coming August 22-25, 2018 at the Georgia World Congress Center in Atlanta - 285 Andrew Young International Blvd., NW Atlanta, GA 30313-1591. Get a free show floor pass when you use promo code IWF18IL. 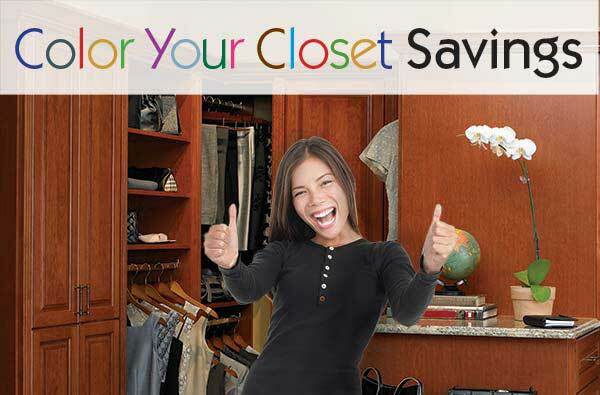 Plus Closets is thrilled to announce a new extension to our line of closet accessories and hardware. 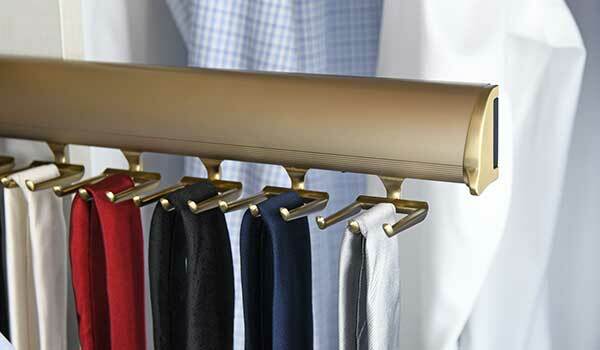 We now offer the Elite telescoping racks and hooks in a beautiful matte gold finish. Grasp the Plus Closets difference — see and touch our products, including the revolutionary 360 Organizer® rotating closets when you visit us in person at the Cabinets & Closets Conference and Expo in Pasadena CA this March 27-29, 2018. Plus Closets® Dealers who signed up For the ClosetPRO drawing software service have access to the following new features, making your workflow even more productive! 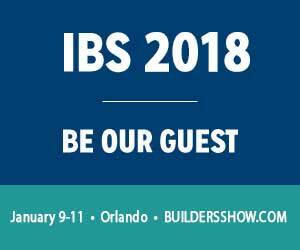 Plus Closets to Exhibit at IBS 2018 Booth S2851 — Get a Free Pass to the Show! 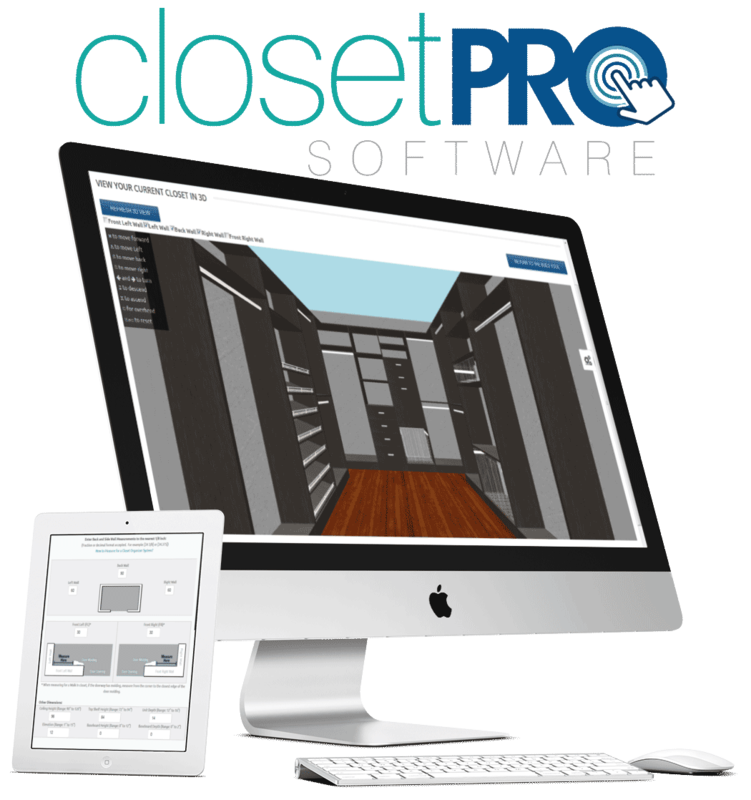 ClosetPRO™ Drawing Software is Now Available to All Dealers! 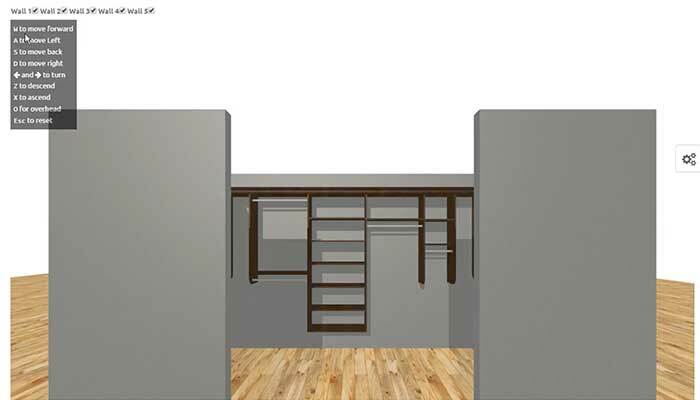 Plus Closets is offering a new tool to all dealers that allows you to quickly draw a closet in 3D and price it on the spot. It is intended for our dealers who need a simple, yet powerful, front end tool for their salespeople to use. Plus Closets offers you a total of twenty seven choices of door style to select from when ordering your doors and drawers. The style you select can make or break a project. There are several factors that go into proper door selection including style, price, color, intended use, size and client preference. Plus Closets offers an extensive line of colors and finishes for 2017 that are certain to generate excitement with your customers! 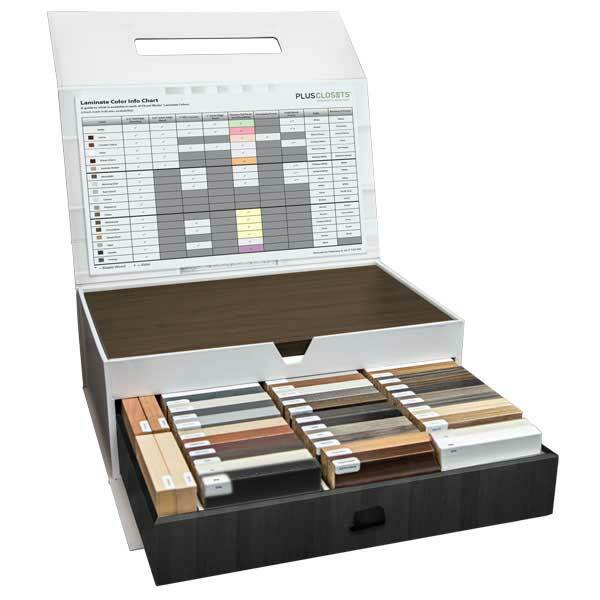 We've packaged all of the color and finish options available at Plus Closets into a new, comprehensive kit that covers everything from standard colors to premium wood-look and high gloss laminates to wood veneer options and MDF. This kit comes in a Bento style custom sample box complete with handle, pull-out drawer, a flip up compartment, laminate information chart, and professional quality graphics with a location to add your own branding. This display case is special: it looks and functions exactly like the well designed organization systems you sell, but on a smaller scale. Plus Closets to Exhibit at AWF/AWFS 2017, Booth 7370! The AWFS® Fair Growing with the Industry is set for 2017 in Las Vegas. Plus Closets will be exhibiting at the AWF/AWFS show this July. 19-22 with Booth 7370. Our booth will be located in the new "Closets and Organized Storage Pavillion" in the las Vegas Convention Center! 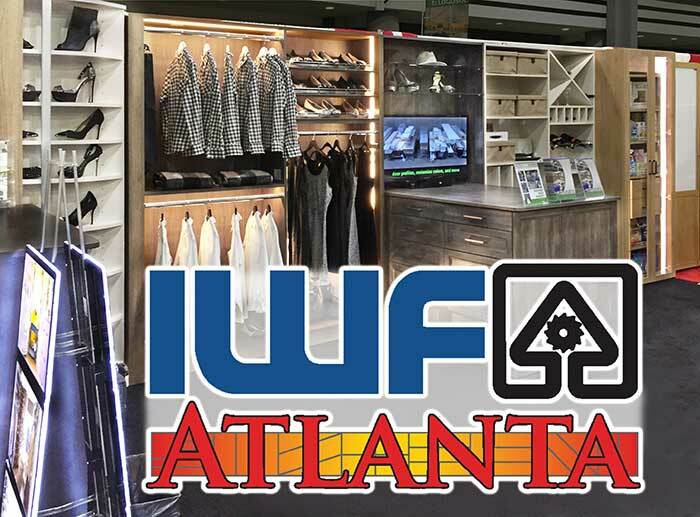 The AWFS® Fair show floor promises to be humming with nonstop activity, featuring technical seminars, live demonstrations and interactive destinations that invite you to join in. Join Plus Closets as we spotlight the best new ideas and give you a complete look at what's available now to help you stay current and competitive. 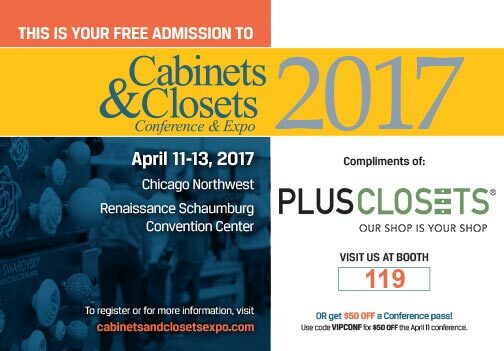 Plus Closets to Exhibit at Cabinets & Closets Expo 2017, Booth 119 — Get a Free Pass to the Show! 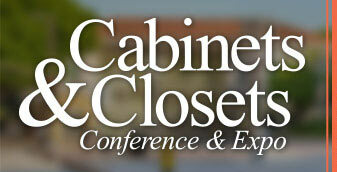 Plus Closets will be exhibiting at the Cabinets and Closets Conference & Expo this April. 11-13 in Schaumburg, IL — Booth 119. Attend the show as our guest with FREE Expo Hall Admission or $50 off a Cabinets and Closets Conference Pass! New Laminate Colors for 2017! 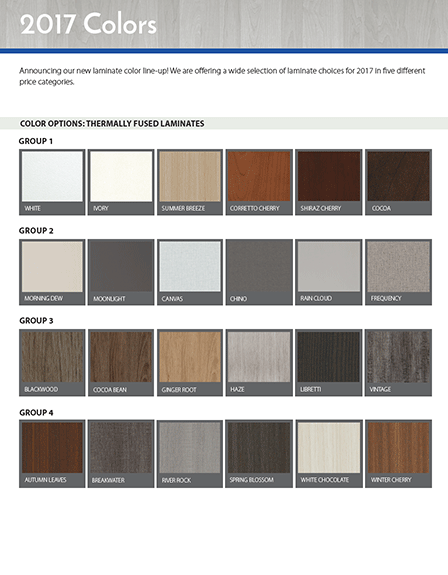 Plus Closets is offering 22 new laminate colors for the new year! These latest offerings are sure to please your customers. 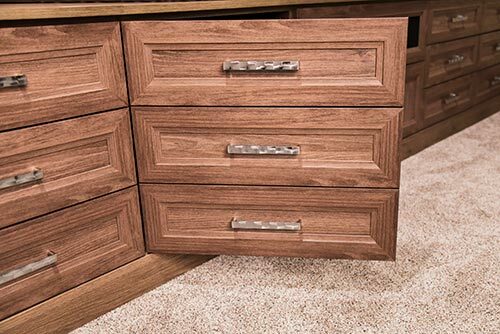 Closets and organization systems are now available from Plus Closets in an even wider assortment of colors than previously offered, including a new premium line called Viva™ with the True Touch of Wood — a textured line that is nearly indistinguishable from real wood. Some of the old colors have been retired to make room for these exciting new laminates, but most are still available by special order. Announcing the Latest Model to the 360 Organizer Family! 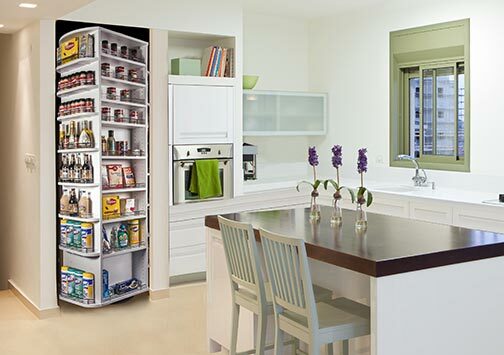 The NEW 360 Organizer® Pantry with built-in cabinet integrates into standard kitchen cabinets, but holds much, much more. 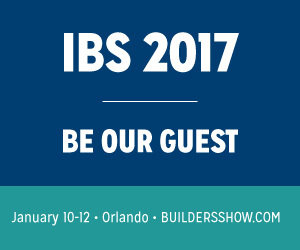 Plus Closets to Exhibit at IBS 2017, Booth S2675 — Get a Free Pass to the Show! Add Drama to Your Projects with New Lighting Options from Plus Closets. Plus Closets now carries LED lighting systems. Have you considered including LED cabinet & closet lighting in your designs? Custom lighting adds a level of drama to your design that makes it truly stand out — but is generally friendly on the customer's budget. Plus Closets is Proud to Announce the Addition of 3 NEW High Gloss Colors to Our Already Popular Stylelite Line. These new 2-sided high gloss color laminates compliment our existing line of six Stylelite colors: Arctic, Alabaster, Carbon, Champagne, Metallic Graphite, and Metallic Silver. 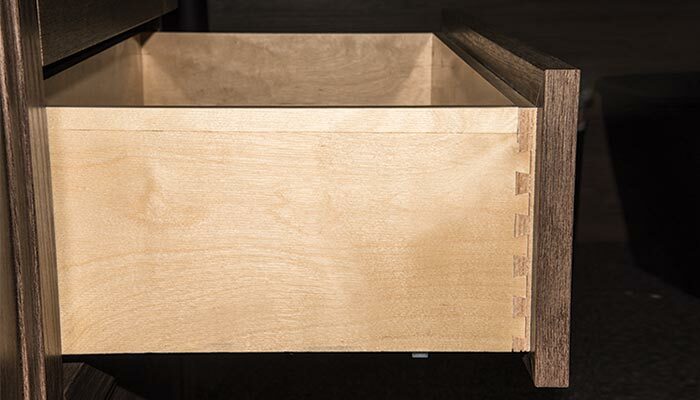 New Wood Birch Drawers with Under Mount & Soft Close Now Standard Offering! Effective April 1, 2016 ALL orders from Plus Closets will be shipping out with our new standard Wooden Drawer box and Undermount Slides. New Lower Pricing on Color Laminates! The Color Your Closet promotion with discounted pricing on our color laminates with FIVE COLORS PRICED THE SAME AS WHITE has been extended through 2016. Plus Closets has been selected as a 2016 Best of IBS finalist in their "Best Indoor Living Product" category for the 360 Organizer® by Lazy Lee® 360FS Series closet system.